New Jersey is offering individuals the opportunity to dismiss minor municipal court complaints that are over fifteen (15) years old. 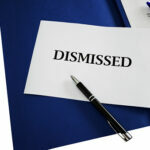 By Order of January 17, 2019, the New Jersey Supreme Court announced that certain unresolved, minor municipal court cases may be dismissed. The Order determined that there are nearly 800,000 unresolved complaints for minor municipal court matters that are subject to this dismissal opportunity. The minor municipal court cases that may be dismissed include cases in which arrest warrants had been issued to defendants for failure to appear prior to January 1, 2003, and those warrants that are still active. The dismissed cases include parking offenses, motor vehicle offenses (such as running a stop sign or red light, improper passing, motor vehicle equipment violations, and certain speeding offenses), local municipal ordinances, and other minor municipal matters, such as fish and game violations. Notably, however, this Order does not exempt certain more serious municipal court cases from dismissal, such as petty disorderly persons offenses, driving while intoxicated (DWI), reckless driving, and refusal to submit to a chemical test. If you are or believe to be subject to one of the nearly 800,000 unresolved complaints on minor municipal court matters, you should contact the attorneys at the law firm of Puff & Cockerill to discuss dismissal of your minor municipal court matter. You may contact our office at 856-845-0011 or info@pufflaw.com. Take advantage of the opportunity provided by the State to dismiss this matter. Let’s explore NJ rules regarding using a cell phone while driving. In this day and age, your cell phone is one of the few things you never leave home without. It allows us to stay in touch 24/7 with family, friends and work. Unfortunately, a lot of motorists use are using a cell phone while driving. Use of your cell phone is broadly defined to include talking, texting and the like. I’m sure you have seen it every day on your commute to and from work. Not only can it distract someone who is driving and lead to an accident, it can also subject a person to motor vehicle fines, points and driver’s license suspensions. The key component to remember in this portion of the statute is that if you are driving a motor vehicle on a public road/highway and you are using a cell phone/electronic communication device it needs to be hands-free. If not, there is a violation of N.J.S.A. 39:4-97.3. First offense – a fine of $200.00 to $400.00. No motor vehicle penalty points. Second offense – a fine of $400.00 to $600.00. No motor vehicle penalty points. Third or subsequent offense – a fine of $600.00 to $800.00. Three (3) motor vehicle points are assessed. The Court, in its discretion, may order a license suspension for a period of 90 days. A cell phone while driving conviction that occurs more than ten (10) years after a prior conviction for the same offense, will not be considered a subsequent offense for sentencing purposes. Before you plead guilty to any motor vehicle violation and incur fines and possible suspension of your driving privileges, schedule an appointment with an attorney experienced in handling these matters. New Jersey unsafe driving violation. What does it mean and why is it important to understand the law. Over the past 35 years, our firm has represented hundreds of clients who received traffic tickets for violations of the New Jersey traffic laws. New Jersey traffic tickets can involve an assessment of motor vehicle points, payment of fines, suspension of driving privileges, surcharges and court costs (or a combination thereof). Most clients are concerned about the imposition of motor vehicle points because an assessment of points on your record can lead to an increased likelihood of a driver’s license suspension or an increase in automobile insurance rates. A first unsafe driving violation is subject to a fine of not less than $50.00 nor more than $150.00. Importantly, no motor vehicle penalty points are assessed to first time offenders. A second unsafe driving violation is subject to a fine of not less than $100.00 nor more than $250.00. As with a first offense, no motor vehicle points are assessed to second time offenders. A third or subsequent unsafe driving violation is subject to a fine of not less than $200.00 nor more than $500.00. However, four motor vehicle points will be assessed to your record. An offense, however, that occurs more than five years after a prior offense for the same violation will not be considered a subsequent offense for purposes of assessing motor vehicle penalty points. In addition to any fine, fee or charge imposed by the Court, a person convicted of this unsafe driving offense will be assessed a surcharge of $250.00. A crucial benefit of unsafe driving violation, when compared to harsher offenses, is that no motor vehicle points are assessed until a driver is convicted of a third or subsequent offense, only if that third or subsequent offense occurs within five years of a prior conviction for the same “unsafe driving” offense. Do I Need A Lawyer for an unsafe driving violation? Before you plead guilty to any motor vehicle violation or traffic ticket in the State of New Jersey and incur fines, fees, potential points on your driving record, or suspension of your driving privileges, you should consider speaking with an experienced attorney about your legal matter. An experienced attorney may likely be able to assist the client and mitigate a violation to avoid an unwanted and costly outcome. For more information regarding the New Jersey Driver Points System read our article. What happens if you die without a will in New Jersey?